Legal services like accounting are never going to go out of fashion. They’ve been around ever since the world started to perceive any kind of trading patterns; we won’t be able to trace their origins! In modern times, accountants are the people that cake care of all your taxation needs – but you already know that. Which is why you’re here, browsing through these WordPress themes for accountants that we’ve put together for your consideration. This list was carefully drafted to cover a broad array of accountant fields, but don’t worry; we certainly did not fail to include those that are related to tax needs, law and justice, and financial businesses. Many of these themes share similar features, which an accountant would find helpful to have on their website. Many of these accountant themes have so many features and different ways of presenting them; we couldn’t even account (pun intended!) for them all in a few paragraphs alone! So, we highly recommend that you check out the demos for each of the themes that you might find interesting. You may be surprised to learn that a hefty number of these actually have multiple demo styles to choose from. Each of these styles provide a unique and distinct approach for this specific market. DJMiMi has published a great deal of creative and inspiration themes, and Account is definitely a combination of both of those factors, packaged together in a responsive WordPress theme for accountants, and those in the finance business field. The style choices are oriented around putting as much business information on your homepage as you require. Accountants have many sub-categories of work interest, and customers will want to know which services you are able to provide. This theme lets you do all of that easily. With an organized codebase, you won’t have to stress over any performance issues. This theme’s benchmarks have shown great results using the most popular speed testing services. Google Search will have a pleasant time indexing your site as it is fully search engine compatible. Some of the best features include a ‘request a quote’ submission form, so you can start attracting leads from the moment visitors hit your home page. If you’re unsure about the capabilities of some of these features, check out the full-scale documentation, which narrows down features on an individual basis, giving you a strategic approach towards using this theme. 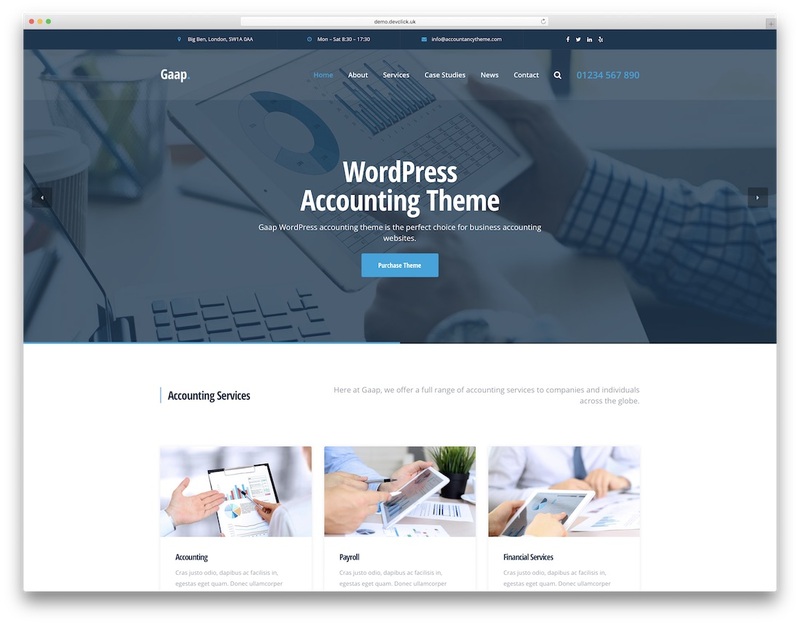 Accountant WP is an elegant yet highly professional WordPress theme suitable for a wide range of businesses related to accounting. The developers behind this design went the extra mile to study the most common patterns found amongst websites like this. They have executed their findings into one final design, which is the one you’re seeing here. It’s an utter beauty, with a lot of flexibility behind it. For businesses such as accounting, you want to have the ability to outline your services as diversely as possible. It’s not a simple business field, yet Accountant WP takes care of it as if it isn’t such a big deal. Users of this theme can bask in a choice of 10+ unique service page layouts, truly catering to many of these industries individually. Above that, you get a clean, coded foundation that strives towards high performance benchmarks. It has also been shown to have ridiculously fast loading times using services like Google PageSpeed and YSlow. If you’re interested in only a single-page portfolio for your operations, you could switch to the one-page demo layout. 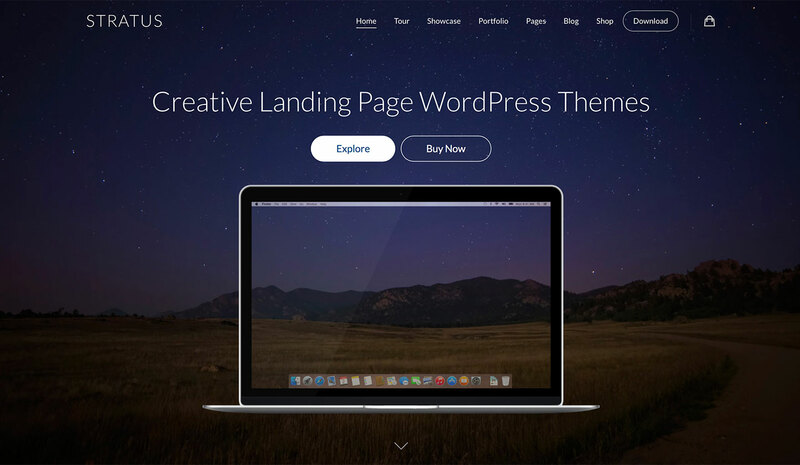 Enjoy this theme, as your clients definitely will. Anpsthemes have sold their themes to 15,000+ individuals. This only implies that you will be in great hands no matter which style you decide to go with. Accounting is a multi-layout WordPress theme for business purposes, specifically if you’re in an accounting business. It’s not limited to being used in other fields like finance, consulting, and general business. Use this exciting theme to lure in those high-value leads and conversions that you’re seeking. The flexibility of this theme relies on many of the layouts it provides that are pre-built and ready to use. Each of these you can further modify using Visual Composer, and you can extend your visual presence using Revolution Slider. It seems to be a common trend amongst these types of themes, but it’s nonetheless a welcome addition. Another factor is a huge collection of font icons. This has been rounded up from platforms like Font Awesome, Typicons, Entypo, Mono Social, Open Iconic, and Linecons. This theme definitely brings that extra level of visual appeal towards any of your design features. If a part of your business plan includes launching an eCommerce store, this theme will brilliantly take care of it. Whether it’s services you want to sell, or actual products related to accounting, the neatly designed eCommerce store in this theme is going to get the job done! The team at AxiomThemes are always striving to provide their customers with themes that will guarantee business success. Adviser is a financial business WordPress theme mainly ideal for accounting-oriented businesses. This will also work well with investment agencies, financial brands, tax-related services, or legally oriented services. With a comprehensive service description layout and the ability to discuss your company experts on the same page, you will love how quickly Adviser can outline the values of your company. The most unique feature is that it is built specifically for finance businesses, and it is a ‘lease calculator. This form is seamlessly integrated into the design. This enables the customers to estimate the average sum of money they’d have to pay on their lease. This saves you the necessity to calculate it for them every single time. It’s also WooCommerce optimized, so you can enable customers to book services directly from the web, further saving you the hassle of having to do all the paperwork manually. Ha ha, paperwork! Visuals, including sliders and many of the design elements, are fully responsive and are device-ready, ensuring a transparent user experience for those who browse your website using their smartphones or tablets. You have the option to translate the theme into a language of your preference, given the situation that you’re working with a diverse team of individuals. Amwal is a multi-industry theme ideal for consultants, big and small business owners, finance experts, and accounting agencies or individuals. As a premium theme, it strives to give its customers the ability to optimize the site design and functionality in the best way possible. Besides the big catalog of demo designs, you can also customize the header of the page using any of the built-in header styles, which always lets you have a say about the final touches of your homepage. The provided footer layouts all reflect different visions of any brand that works within these types of industries. All of them fill out the necessity to have a design that’s professional, and in alignment with the customer’s needs. The services pages are divided into two parts. One is the actual services page where you can list your proficiency in different fields. The other is the service definition pages themselves, which are rich with features like pie charts, creative bullet points, and company background – things that go a long way towards establishing a trust with first-time visitors/customers. ThemeModern is a quickly evolving theme development company. Their main focus is listening to customer input to craft better themes; some of which bring never-before-seen capabilities to the market . You’ll be thrilled to use this Business & Finance theme; not only is it designed for the modern mind, but it stands out with its sleek, fresh, and modern design. It’s fair to say that customers expect your website to be operating with features that they’ve seen elsewhere, and usually only because they want to onboard as your customers as quickly as possible; given that your services cover the ground they’re seeking to resolve. It’s also one of the few theme developer companies out there that provide thorough video walkthroughs of how to set the theme up as a first time user, despite the fact that they’ve included a well-organized documentation. Custom options management for the theme is supported by the Redux Framework, a fast-growing framework for premium (and free) themes that push to give their users the best way to edit their themes on the fly. Themes Awesome isn’t an Elite Author for no reason. Their themes are serious about their purpose, and anyone in the accounting field will know how to appreciate the professional touch of this Business Accounting theme. The layout uses semantic design aesthetics, excellent for adding a pinch of modern professionalism to your digital accounting services presence. It’s outstanding footer design is ideal for mentioning vital contact information and adding any form of subscription forms to collect emails or other information. The theme uses an in-depth approach to customization, so from the Theme Management options panel in your dashboard, you can change and readjust even the most specific of values, like colors and fonts used for individual links, etc,. Likewise, many of these customization features are accessible using the live customizer, as provided by WordPress itself. With any form of premium style choices, you want to ensure that you will be getting a reasonable support access in case of an emergency, and Themes Awesome customers have not failed to praise the high levels of satisfaction when it comes to customer support. At first glance, you might think that the ConsultPress is a little bit dodgy and not evenly organized. That is in fact the one thing that makes this WordPress accounting theme so damn unique. The sliding sidebar on the homepage takes a moment to get adjusted to. Once you do, it makes browsing of the site that much easier; all of a sudden, it’s all there, the history of the firm, your services, and any vital contact information. Design uses a lot of block-style elements, which does seem to work a lot these days. There’s a clear distinction from an element containing information, and a white space to fill the rest of the page. You get this instead of putting all the content on a single white page. Compatibility and code quality are as important as the visual appearance of the theme. Coded by WordPress Standards, ConsultPress is developer-friendly and easy to customize or add new functionality. Consulting recently got an update, shaping up a few bugs and resolved some design issues, further making this theme appealing towards its customers. 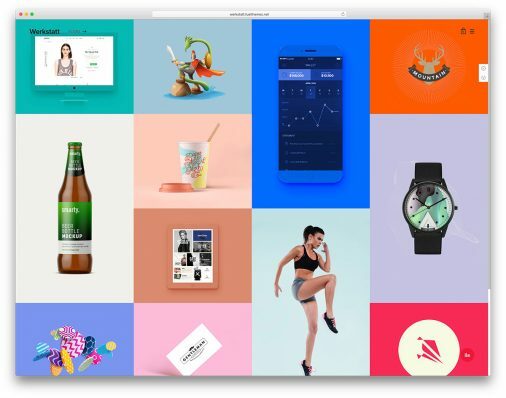 We love the work from Mymoun developers; they think of features like mobile design, eCommerce, and one-click imports as native parts of any style they’re pushing out to the market. It’s uncommon to see many developers use the Zurb Foundation Framework as the back-end for a WordPress style. With this theme, you have it in its full glory. It actually looks really smooth compared to some other themes/styles we’ve covered in the past! Enjoy features like custom error pages, search engine optimization, Google Maps, portfolio layouts, modern browser support, and customization of colors and fonts – never too many clicks away. If working as an accounting consultant is your thing, consider checking out Eleanor. While it is a universal business theme, it strives to cover the essentials of a servicing type of business where customers will want to know how you can help to resolve their problems. What stood out for us personally was the heedful designs of pages like case studies; it allows you to dive deep into your experience of working with certain projects. This gives you the ability to enlighten your customers about your work experience. You are also able to guarantee the achievement of several tasks based on customer requirement. Other features include the testimonials slider and team spotlight widget. With this, each member of your team can get their profile highlighted with a custom description. As an added function, you get to add their social links for better exposure. Blog design is ideal for writing up stories of your success. It is also important for general announcements and any news you might feel like sharing. Custom service page designs can cover your offers more extensively. This way, the customer doesn’t have to call each time to find out what your accounting agency offers. Finance theme bridges the professional, the modern, the elegant, and the versatile spectrum that you see in modern websites today. This theme is a fully-responsive WordPress theme for financial businesses, accountants, and consulting agencies. It is strictly built as a business theme, and thus is populated with features and plugins that reaffirm its functionality in the business sector. From booking forms to detailed service pages, there’s a lot of ground that Finance covers, and if you’re currently seeking a theme in any of the above mentioned industries, take a brief moment to study the available demo layouts. It’s definitely worth it. Besides having a modern-designed header navigation, one of the things that first caught our attention was the use of colorful visuals. There’s also the color varieties and unique typography that’s plastered throughout the design. The theme doesn’t have that “hard” professional feel to it, yet it still manages to look professional and completely business-like. As someone who is in the financial business platform, you’re likely to have a number of data reports to show to your potential customers, and you’ll be able to do so using a built-in support for a popular Google Charts library – these charts then become a seamless part of the whole design, making it that much more interactive and meaningful for the customer. If you are an accountant or you run an accounting firm, promote yourself like a pro with Gaap. This accountant WordPress theme is everything you need to get yourself online and take your business to a new degree. With the drag and drop functionality, you can easily adjust and alter the default demo design and make it follow your requirements and regulations effortlessly. In addition to the superb home design, Gaap also includes other internal sections for about, services, case studies, contact and even a 404 page. Gaap comes with over fifteen custom widgets, unlimited colors, convenient documentation and free lifetime updates. The theme is also compatible with all the popular plugins, like Yoast for SEO, Contact Form 7 and WP Super Cache to name a few. Get a better idea about what is possible with Gaap by heading over to the live preview page. RedBiz is a multi-purpose WordPress theme for businesses of various types. Since we are here, chatting about accountants and accountant companies, you know RedBiz is a fantastic solution that will put you right in front of your audience. Whether you are starting a new project or you run a successful one already, always make sure that your online appearance is of the highest degree. With RedBiz, you are in safe hands. It offers everyone to experience your professionalism and expertness by accessing your page only. 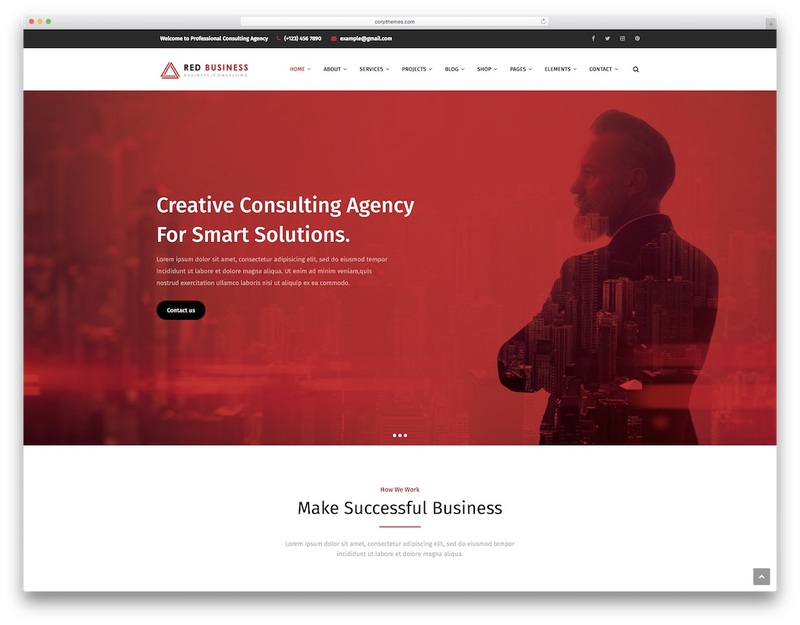 With over forty ready-to-use demo contents, RedBiz helps you decided on the type of web design you would like to sport with your business easily. Mix the available with your own signature style and you can already differentiate yourself from the masses. Get your name out there with RedBiz and scale your accountant firm. With Finvision, you can create a space in the online world for your outstanding accounting services in nearly a snap of a finger. After all, the material is already available for you so there is no need to start from the ground up. Besides, you also do not need to be a coder nor a designer to know how to work with Finvision. It is all very straightforward, catering to users of all levels, from complete beginners to professionals. 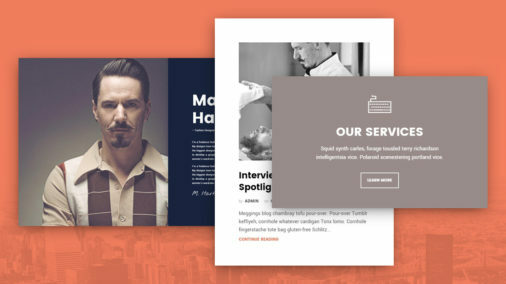 Choose between boxed and wide layouts, add animations, spice things up with parallax and hover effects, introduce custom widgets and capture their emails with a newsletter subscription box. 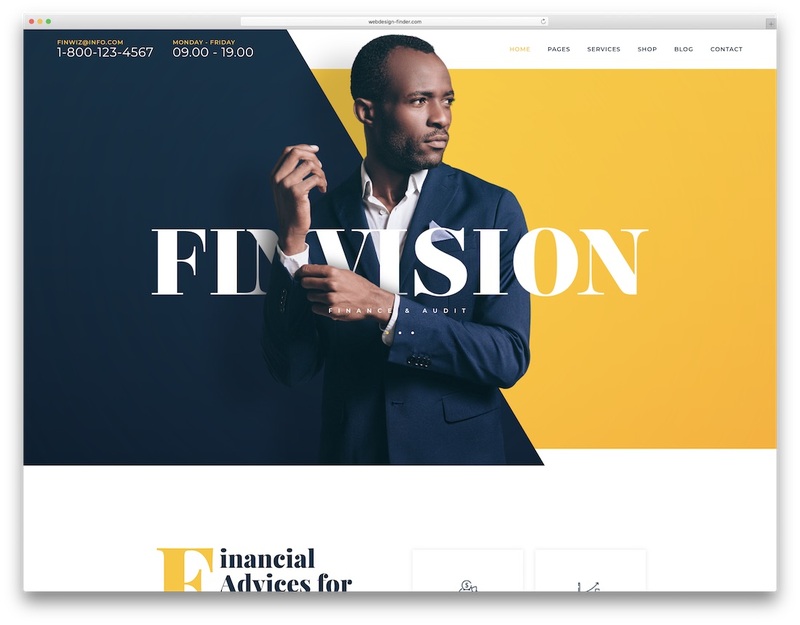 Finvision is enriched with a modern and elegant design that will push your accountant website to new heights. Take the plunge, make the must-needed page today and see the traction form shortly after. Finance Hawk’s striking typography is what drew us to this theme instantly. It’s almost as if other designers are afraid of going bold with their designs. But honestly, in finance fields in general, it’s all about bold moves and bold statements that often involve a risk. Finance Hawk basically covers the FAQs of your business. Getting in touch with people that you’re potentially going to work with before you actually meet them is a great way to study their work beforehand, and then ask direct questions upon an actual meeting. So far, Finance Hawk is the only theme in our roundup that provides an independent management platform for your projects and events. Why not get people to come to one of your self-hosted events? Why not get to know them and their issues a little deeper? You can even enable/disable user registration, further letting people to intertwine themselves with everything your brand stands for. If you believe in community, go for this theme and don’t look back. Finazi, the modern WordPress with multiple uses, is going to enhance the presence of your business in the digital world. Enjoy a minimal design spectrum, which targets at highlighting what your firm does in the field of finance, accounting, and similar financial districts. Premium plugins like Easy Social Sharing, Visual Composer, and Slider Revolution are ready to use; they come pre-packaged with this theme! Finazi is also compatible with some well-known plugins like WooCommerce, Yoast, Contact Form 7, AIO SEO Pack, and Unyson Framework, boosting the already magnificent set of tools you got to work with. Speed has been optimized so that no popular speed testing service would report performance below 90% of speed grade. Both customers and search engines value site speed as an important factor in rankings, and decision making. This level of performance is definitely a plus! It’s hard to imagine a design agency charging anything less than $10,000 for a design of this scale, yet here you have it, at a price that simply can’t be compared to anything else out there. The GoAhead theme is a WordPress template choice for businesses related to finance, in particular fields like banking, startups, investments, consulting, insurance, accounting, and tax-related services. It’s packed with demo layouts for you to select from, further enhancing the edge this theme has over the specific market. If you’re not fond of the green color scheme, forget it. It takes a few clicks to overlay the site with your own favorite color of choice – although green is certainly known to instill trust in visitors, which could be a benefactor for a financially related business. Certainly, giving users the same experience on their mobile and desktop devices is important and cannot be ignored. Lucky for you, GoAhead has that modern responsive design that’s going to adapt itself to any screen resolution. We love the inclusion of a custom-built gallery feature, which you can utilize to create portfolio galleries of any of your previous projects or stories of success that you have experienced – a little bit of visual interaction isn’t going to hurt. For the page title, you can upload background image and customize spacing. Beside it, you can control all components in the page title such as the title itself, the subtitle, and the breadcrumb. There are many positions to display the sidebar. Just choose left, right or none to make your site have the best view. It’s rather interesting to observe as to why JusticeLAW hasn’t picked up as a super-trending theme yet. This gives you all the more reason to use this theme for your brand, because so few others do! Why not give your brand a unique identity, at the expense of a few pennies? And we’re not saying this design is not professional – in fact, it’s quite amazing, with plenty of things to offer for businesses in fields like justice, law, accounting, and overall business practices. From learning about the core values of your firm to understanding your past work and seeing what others have to say, customers can navigate through your homepage to learn a concise history of what you have done, and what you have to offer. It all ends at the bottom of the page, where clients are awaited with a ‘Get a Quote’ submission form, perfect for not wasting any time and getting people to inquire straight away. Lawyer Base has that strong agency feel of a design that you’d expect. It sure enough has worked great, because at the time of writing this article, there are already 1,700+ sales rolling. Customers obviously love this theme, and we can see why. While the title indicates a distinct ‘lawyer’ theme, you can easily use it in other accounting fields. 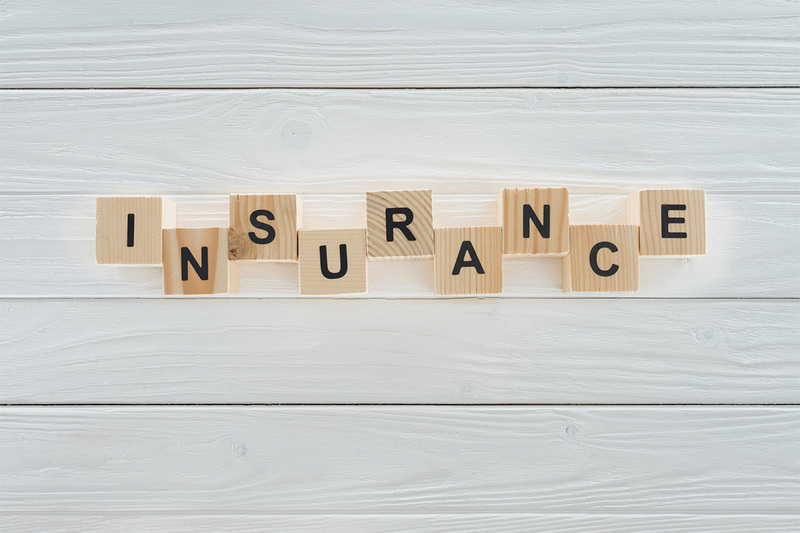 Remember that it’s almost always about the features of each of these themes, and how flexible they can be towards helping you explain what your agency, firm, or business is all about. GoodLayers are professional theme developers, and without a doubt, they put a lot of thought into these designs; things like custom post types and multiple layers of design scalability isn’t something you just decide to put into your theme. Now, you can empower your own digital website with these techniques. Partner will give you a strong backbone for businesses related to accounting, law, and the financial sector in general. It’s best described as a design choice that allows color customization, font arrangement for individual parts of the site, and great selection of icon fonts to spice up the visual outline of what you’re creating. If you’ve been on the lookout for something simple but concise, Partner could fill that gap for you. We love the individual sections for showcasing your case studies with previous clients. These pages in particular have a lot of detailed touch added to them, which is ultimately necessary if you want to reassure your clients that you’re going to be the right choice of service for their needs. Accounting is not a small feat, but this theme really does an excellent job at covering crucial business aspects. 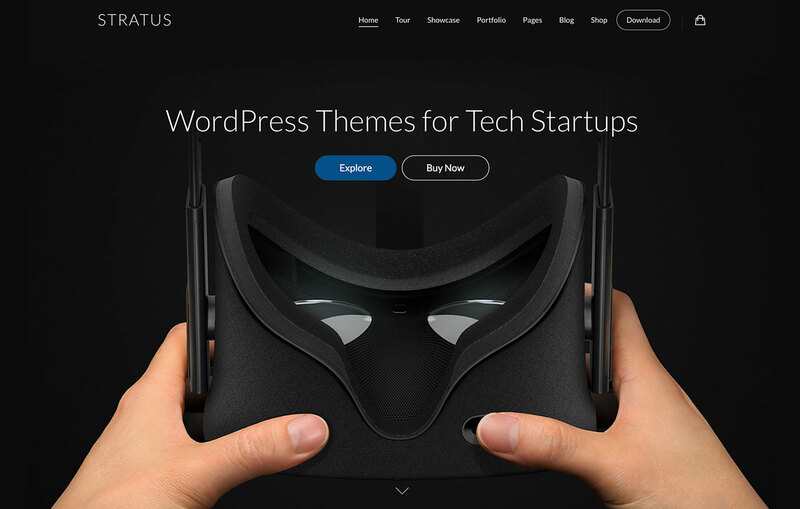 With frequent updates, this theme is totally compatible with any new version of WordPress, and the support team at Partner goes out of their own way to ensure every single customer of their themes is satisfied and pleased with the purchase. Features include widgets like content feeds (for blogs, portfolios, etc,.) which can be shown anywhere on the site. The codebase is clean and friendly towards other developers, if you ever need custom modifications. It’s also SEO friendly, and performance is swift due to the minimalistic approach towards putting only the necessary components on each page. Provide has a style that resembles a little bit of a marketing pitch, albeit with a thorough design quality that will guarantee a great user experience. But aren’t services related to finance (like accounting) all about pitches anyway? You’re not the only accounting agency / firm out there, so competition is very much alive and kicking. Provide focuses on theme elements which can highlight why your agency is the best one that could get the job done properly. If your firm is operating in multiple locations, you can highlight each one in a specifically designed ‘Branches’ page. As part of your business strategy, you can create pre-planned project pages that can show the potential client what your proposal is, and how it has achieved growth for other clients based on your own research experience. The guys behind Provide did an extensive research into the best SEO practices being utilized today. Thus, the theme is optimized for SEO standards such as design, mobility, accessibility, and performance. The pages themselves achieve a legit W3C ranking for design quality. This wouldn’t be possible without the theme’s code being brilliantly smooth. Tax Help is a robust WP theme that’s going to take your digital marketing efforts to the next level, without any design thinking needed to be done on your part. Whether you run a large corporation, or a small business just starting out, Tax Help caters to businesses of any capacity – solely focusing on the importance of giving clients the data they need to help them decide whether your services are the best choice for their needs. You can achieve this through far-reaching business widgets that create an outline of your past and present moment timeline. The clean design of Tax Help creates a fresh atmosphere for your digital home; with a carefully crafted layout that does an excellent job at outlining your primary services, and what is your expertise in each. In fields like accounting, it’s all about reputation and proof of experience, and Tax Help takes those two factors seriously, hence giving its users the tools that are required for the job. Use Visual Composer to further enhance the authenticity, or browse a selection of shortcodes that will bring your content o life.